Marcel Proust, how does Harvard love thee? Let me count the ways: an exhibit of rare letters, now on display at Houghton Library, and, coming later this semester, an online art show, a photography exhibit, a music concert, a film series, and a late-April international conference of literary scholars. All this affection and attention — a sort of Proust spring at Harvard — is inspired by the 100th anniversary of “Swann’s Way,” the first volume of the novel that grew to be the longest ever written. “In Search of Lost Time” — first known as “Remembrance of Things Past” — eventually filled seven volumes, ranged over 4,000 pages (in the Modern Library edition), and brought to literary life something like 2,000 characters. Its eventual size is partly a memento of World War I, which stalled the French publishing industry, giving the dreamy, discursive Proust more time to write. For all its length, the plot is simple, said François Proulx, a lecturer in Harvard’s Department of Comparative Literature. “It’s a novel of one man’s apprenticeship as an artist.” “Swann’s Way” is also an artifact of the memories, reflections, and artistic influences that shaped Proust — “the worlds he learns from, and goes beyond,” said the young scholar. To prove it, the young scholar pointed to the centerpiece artifact of “Private Proust” in the Houghton’s Amy Lowell Room: a framed galley proof from the second volume of Proust’s masterpiece, “In the Shadow of Young Girls in Flower” (1919). All around the spliced yellowing pages, painstaking revisions in his tiny hand swarm like bees. Proust wrote and rewrote, said Proulx, with savage attention. Cambridge is a long way from Paris, where the asthmatic writer composed his magnum opus — largely in pajamas, in bed, and late at night. But Proulx and others have uncovered an unusual share of Proust riches at Harvard, which together illuminate the artist’s life and times and his path to greatness. This semester, Marcel Proust (pictured) will be at the center of an online art show, a photography exhibit, a concert, a film series, and an international conference of literary scholars. For one, there is the rare collection of more than 125 letters given to the Houghton Library in 1994. They are part of the decades-long correspondence Proust had with composer Reynaldo Hahn. When the two met, and became lovers, Proust was 22 and Hahn was 19. That was 1894, and “Swann’s Way” was nearly two decades in the future. The selection of their letters in the Houghton exhibit (up through April 28) are from 1894 to 1912, a period in which Proust made the transition from social butterfly to serious writer. The Harvard Art Museums also add to our understanding of Proust, whose passion for painting, sculpture, and architecture informed the imaginary worlds he created. This spring, viewers can visit “A Proustian Gallery,” an online exhibit of Harvard-owned examples from 70 of the more than 100 visual artists mentioned in Proust’s works. 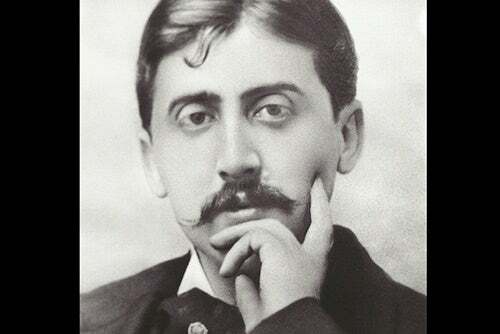 The science of Proust’s era does not merit the same attention, he added, but the artist had a fascination with new technology, including the motorcar (which he used to tour French cathedrals in 1907), the airplane, and the telephone — devices he tended to describe in mythological terms. At one time the reclusive Proust used a Paris subscription service to listen to live opera over a phone line. Adding to the contextual riches: Harvard has photographs of Paris at the time Proust was at work, access to films that were derived from his writing, and student musicians who this semester will bring to life the scores either favored by the author or simply part of his pre-war Parisian milieu. But for now, the Houghton exhibit is the best way to enter Proust’s vanished world. The letters on display show his light, spidery, and well-spaced hand. They reveal his formative relationship with Hahn, to whom Proust read the first 200 pages of “Swann’s Way,” and to whom he often confessed his artistic travail. The letters also reveal the private language the two men used, a sort of sibilant Pig Latin based on adding extra letters to words. Most surprising, the Houghton exhibit letters reveal little-known drawings that Proust used only in correspondence with Hahn, whom he called “my other self.” One shows a crucifixion scene, in which — Proust’s caption reads — “Christ symbolizes poor sickch Marcel.” In another, Hahn is the Holy Spirit, bearing to the suffering artist gifts of grace and love. The conference on April 19-20 — surely it will be joyful — signifies another Harvard treasure, just as the collections of letters and paintings do: the University’s convening power, needed to muster in one place so many Proust experts, in a year that will be busy with worldwide celebrations of a literary centenary. A University-wide humanities seminar, made possible by a Mellon Foundation grant, will examine the fate of nonviolent action as an antidote to violence. The seminar, sponsored by the Mahindra Humanities Center, is set to launch in the fall of 2014.